Originally a motor showroom, this building was converted to AAA-grade offices to maximise the use of the available bulk in this high-profile location on the corner of Grayston Drive and Katherine Street. 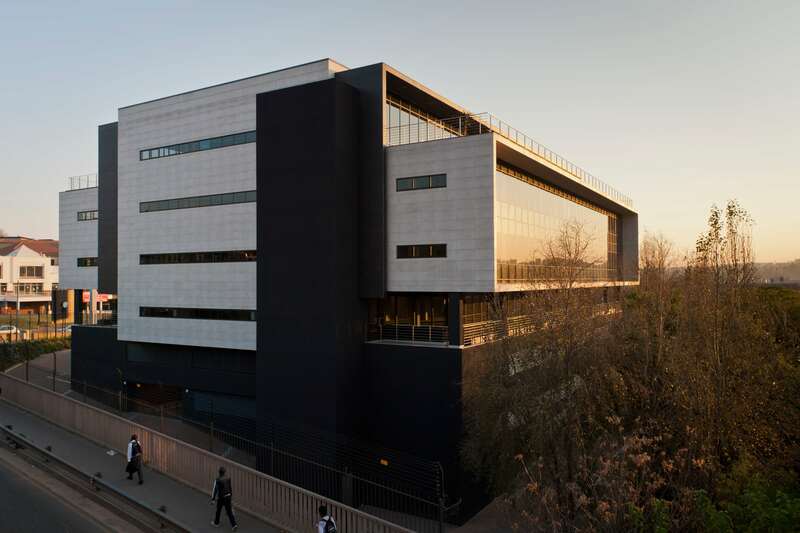 The resulting building, 9,072 sqm in total, retains the structural logic of the original motor dealership, but incorporates design improvements and a response to SANS204 energy legislations. To achieve a 4-Star Green Star SA certification, the overall environmental strategy encompassed indoor environmental quality (IEQ), transport, health, energy, water, and waste management. Features include active sun screening and the careful selection of high performance glazing elements; and the building was designed to provide a comfortable, healthy and productive working environment for its occupants. 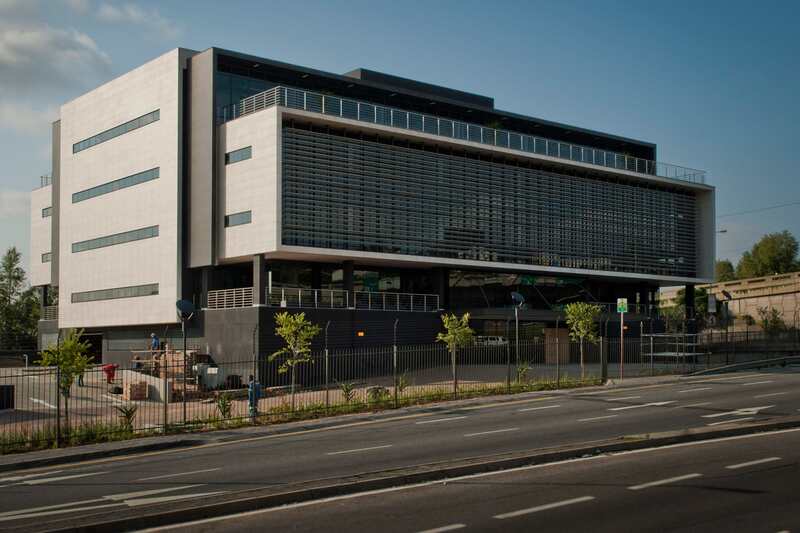 As the project is a landmark at the entry point to Sandton, the overall silhouette of the building was fundamentally changed. The design concept of ‘a box out of a box’ led to a layered and refined architectural design, with crisp edges and folded planes defined by hard glass and tiling finishes to the facades. The volumes of the building were important as the building is seen as a three-dimensional object from a variety of different vantage points and heights, and by motorists travelling past. The original plates were very open, deep commercial plates with a centralized lift core. The new configuration allowed for 4 zones on each plate with centralized services and ablutions. A large wrap around deck was accommodated on the ground floor, with balconies on the east and west facades on the upper floor to maximize views for tenants.